The reason we must fight NAMA at every turn is because it is the economics of fanatics and the whole world can see this. It will keep money away from the country, not the other way around. Brian Lenihan should choose his friends more carefully. 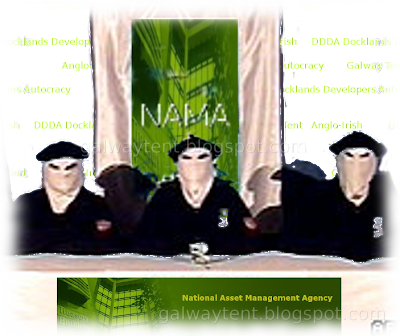 To date, a minister with sincere convictions about the merits of Nama has found cheerleaders among bankers, market speculators, stockbrokers, consultants, fund managers, auctioneers and IBEC. Perhaps that should tell him whose interests Nama serves.